The 16 oz. Caturra Vacuum Tumbler features stainless steel dual wall construction with copper lined vacuum insulation. 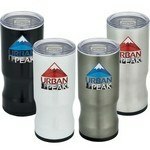 Our 16 oz Urban Peak 2-in1 Pounder features four color options, Customizable with your logo for Brand Recognition. 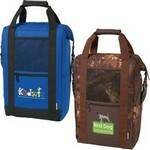 The branded Coast Cooler Tote Bag is insulated to keep your beverages at optimum temperature. 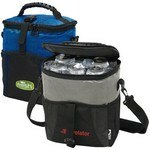 The Surburban 36 Can Rolling Cooler Bag features telescopic handle, side handles and skate wheels and creates exciting Custom Logo Products. The Urban Peak® 18L Civic Backpack features padded air mesh pocket on the back and shoulder straps and makes an interesting choice for Company Logo Products. 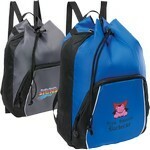 The Arctix Cooler Backpack provides ample storage space for your food and beverages. 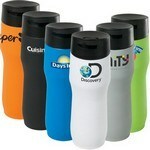 Our customizable 16 oz. 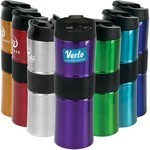 Aroma Vacuum Tumbler provides up to 9x optimum heat retention. Our custom 16 oz. Kirra Vacuum Tumbler has a copper lined vacuum insulation. This 16 oz. 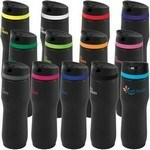 Matte Persona Caturra Vacuum Tumbler has a leak proof screw on lid. 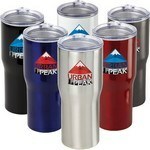 Our Urban Peak Apex 16 Can Cooler features adjustable shoulder straps and allows inserting company details for impressive Company Logo Products. 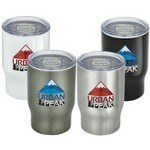 The 20 oz Urban Peak Vacuum Tumbler features vacuum insulation, Customizable with your logo for Brand Recognition. The Tour Drawstring Sportpack features front zippered pocket, top handle and adjustable shoulder straps, customizable with your brand logo. Our Metropolitan 12 Can Cooler Bag features low lead, durable, two toned construction and allows adding brand logo and message for Business swag.